View of Front of House. Entrance Hall View of Dining Area. 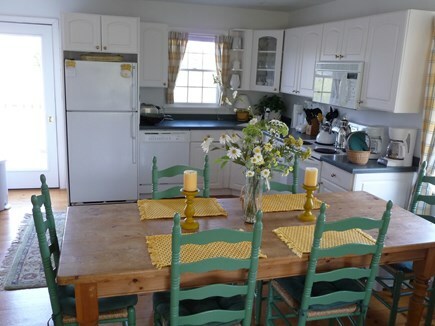 Eat-in-Kitchen with family room in background. 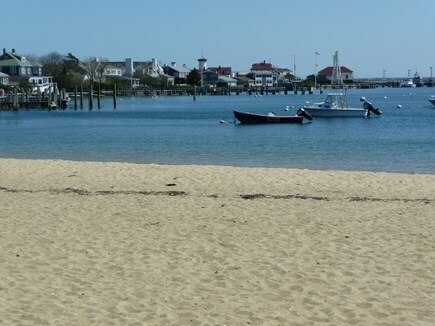 Nantucket Harbor. What a View! Brant Point Lighthouse about one mile away from house. 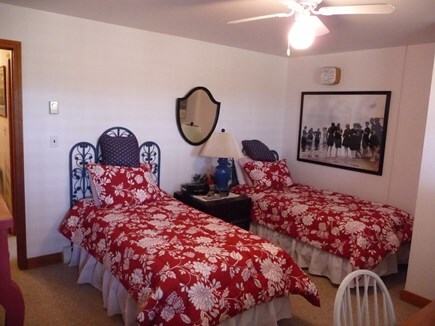 This home is located approximately one mile from town and about 2-3 houses off Cliff Road. 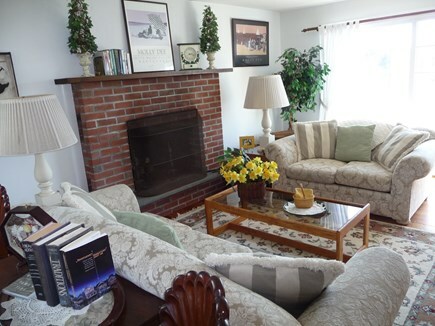 This is a delightful and well kept home that seeks tenants who enjoy an attractive and appealing decor. If you are ultra casual and enjoy partying with a large group, this home is NOT for you. You will love the deck area overlooking a small conservation area where in the appropriate season you just might see red wing blackbirds, families of baby ducks, deer, maybe a wild turkey or even a turtle. The first floor consists of a combination Family Room/kitchen, combination living room/dining room, powder room and laundry area. 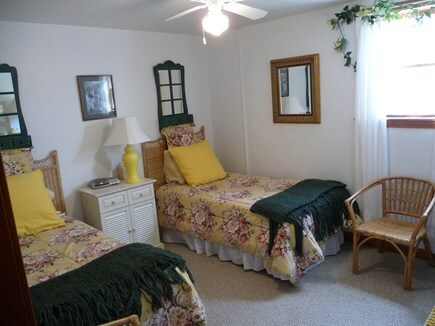 The second level consists of two bedrooms and one full bath (combination tub/shower). The bath has a door to one of the bedrooms and the hallway. 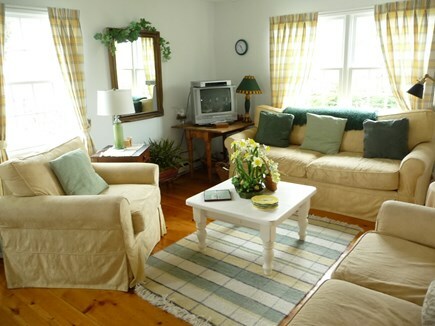 The lower level living area has two bedrooms and a full bath (stall shower) plus a door to the small rear yard area as the conservation area is but a short distance from the back entrance. Additional pricing info: $500. Security payments required except Memorial Day weekend when $1000. security is required. State and local taxes of 11.7% will apply. 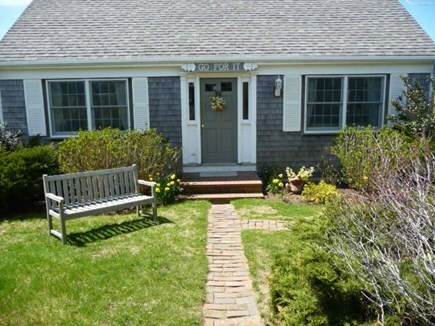 We have owned our Nantucket home ''GO FOR IT'' for approximately 34 years. 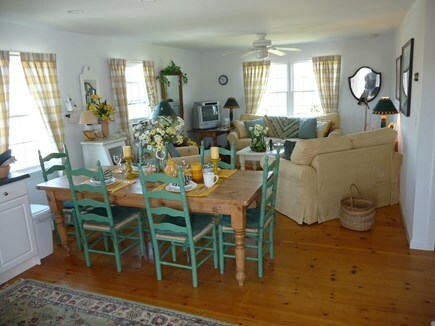 We visit the island 2-3 times a year; usually Daffodil Weekend, early or mid-fall and Christmas Stroll weekend and make it available to tenants from April until the end of Christmas Stroll. 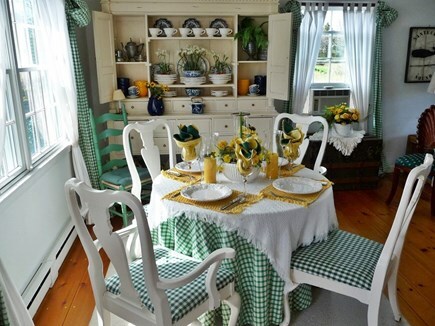 At that time we winterize the home for the winter and early spring seasons. I am a Realtor of 53 years and had my own firm for 28 years in White Plains, NY before selling it in 2008. My firm concentrated on residential sales, rentals and management. Two years ago I moved from White Plains, NY to Lewiston, NY (4 miles north of Niagara Falls and 6 miles south of Lake Ontario. And, No we don't get the snow that Buffalo does just in case you just shuddered a bit. Lewiston is where I grew up so I have returned to my roots and am still active in the real estate business in Lewiston. 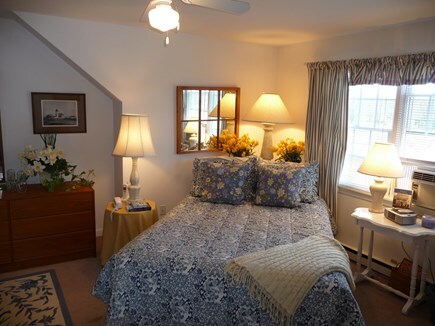 This property is special because it is convenient to downtown Nantucket yet is far enough away to offer you quiet and solitude during your stay at our home. For those of you who know the island we are two houses in to the left of Cliff Road.) 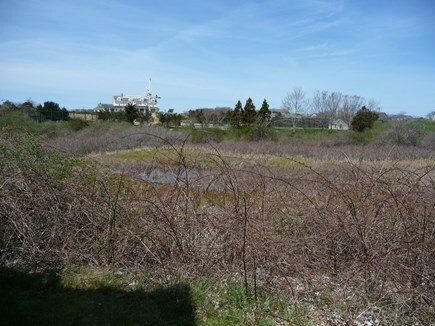 It is also walking distance (about one-half mile) to both the Hinckley Lane and Steppes Beach. Also, the fabulous outdoor sandwich shop,''Something Natural'' (for those of you who know the island) is also walking distance from our house. A bike path to Madaket is about 500 feet from our house. Our back deck offers great opportunity to enjoy the red wing blackbirds, read a book, take a nap, sun yourself or enjoy the fantastic sunsets at the end of the day. 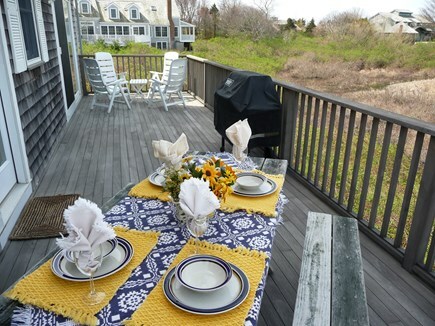 We also have a Weber grill on the deck for you to enjoy various mealtimes whenever the mood strikes you. 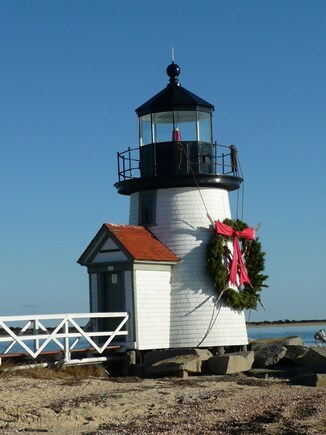 Nantucket is a very special place offering just about anything that a summer vacationer could want. Whether it be just quiet and solitude or fine or casual dining, art shows, live theater, movies, pond or charter boat fishing, boating, beach time or biking on its many bike paths. Even a trip to the dump and its TAKE IT OR LEAVE IT facility is a special Nantucket experience. 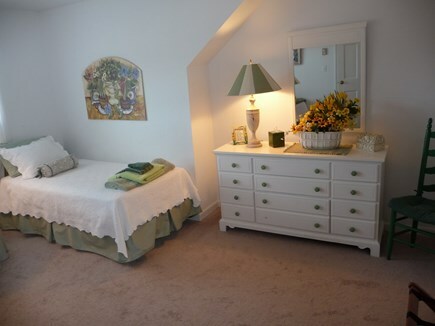 Our convenient location to all of these experiences is one of the highlights in renting our property. This is just a small sampling of your Nantucket experience. People come back to this special island year-after-year to enjoy all that it offers.